The Theatre Jukebox at Battersea Arts Centre! 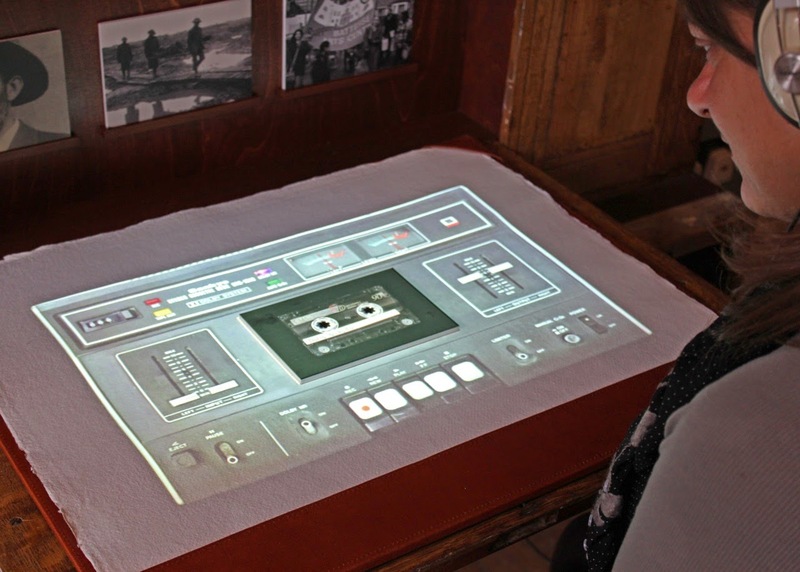 The Theatre Jukebox is a platform for telling stories. 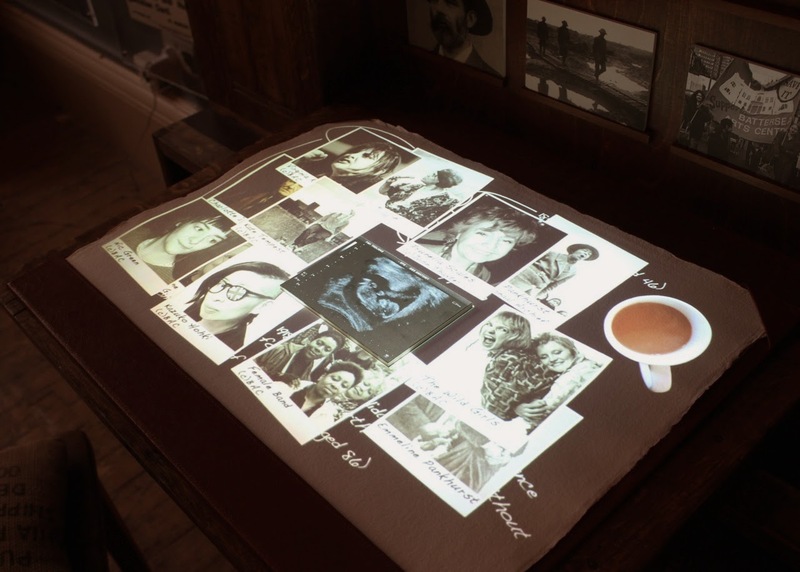 It particularly challenges the way we interact with archives and is a new way to attach digital stories and a more intimate value to the physical collections from our archive. 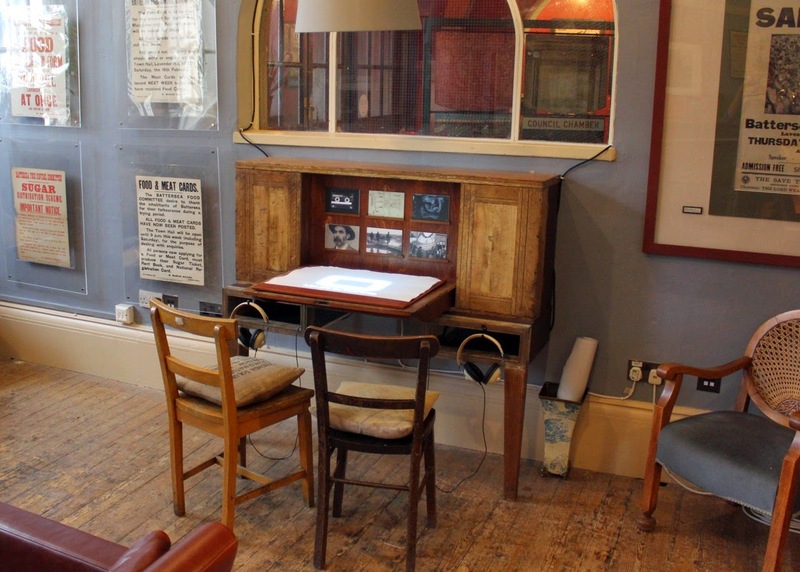 It is installed in the waiting room of Battersea Arts Centre, the permanent space that houses temporary exhibitions curated from our archive collections, providing an intimate experience through the artistic concept of linking the stories of the old Battersea Town Hall and Battersea Arts Centre together. You are invited to choose from a selection of 6 cards. Each one plays a short, self-contained snapshot from our rich history, but if you continue, connections between the cards build a bigger picture. 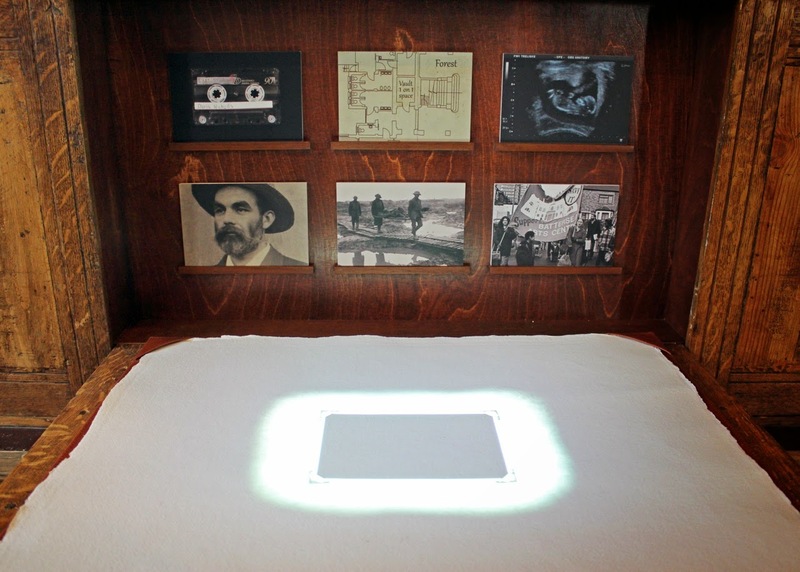 The audio stories are brought to life through projections mapped to the images. The resulting experience is fragmented, non-linear and pieced together by you. It is like snippets of memory or flicking through a photo album, each picture sparking images, associations, snatches of conversations and ideas. The Theatre Jukebox has been created by Stand + Stare Collective, supported by Heritage Lottery Fund, Wandsworth Borough Council, and the Arts Council England, in partnership with Wandsworth Heritage Service. The scent of thyme carried on the wind/ Stings my face into remembering/ Cruel nature has won again. Cruel nature has won again. On Battleship Hill's caved in trenches/ A hateful feeling still lingers/ Even now, eighty years later. Cruel nature. Cruel, cruel nature. Our Town Hall had a vital and versatile role during the First World War, a tribunal for conscientious objectors, a recruitment centre, a meeting place for the Women’s Social and Political Union, an air raid shelter. After the outbreak of the war the Town Hall began flying the Union Flag to show their support for the troops fighting in the western front, while John Burns, the first working class man to gain a seat in the Cabinet, resigned from his duties in the borough in protest against the war. During the First World War a series of fundraising events took place at the Town Hall to support soldiers and their wives, as well as to raise money for hospitals and schools. At the same time Charlotte Despard and the Suffragettes were organising anti-war meetings, demonstrations and talks titled ‘What the war means to the workers’ across the street at Shakespeare’s theatre. The 10th (Battersea) Battalion, The Queen's Royal Regiment (West Surrey) was raised at Battersea on the 3rd of June 1915 by the Mayor and Borough of Battersea, they joined 124th Brigade, 41st Division and trained at Aldershot. They proceeded to France in the first week of May 1916 and disbanded in 1917, with the remaining troops transferring to other units. When Charlotte Despard first addressed a peace rally at the Town Hall, angry hecklers tried to shout her down. But this left-leaning community already felt at war with the upper class and appreciated underdogs, and the general anti-war sentiment was not long in growing. Soon there was even a street renamed after Piet Joubert, a Boer commander whose soldiers fought several battles with the troops of Despard’s brother. In the Waiting Room of the Main Foyer you can find our exhibition about how the local area of Battersea endured the Great War. It is a snapshot of our history and the people who have passed through these doors. Open Monday to Saturday 10am until 11pm, alongside our Scratch Bar, serving fresh local food and drinks, come and explore the exhibition before or after a show, or relax in our welcoming spaces. This display has been made possible through the support of the Heritage Lottery Fund, Arts Council England and Wandsworth Council, and thanks are also due to Wandsworth Heritage Services and Wandsworth Museum. Battersea Arts Centre and the Arches have been working together for years supporting artists. Adrian was one of the most important. I first met Adrian when I was starting out as a Producer nearly 10 years ago. My job description when I started was one line - “to find the future of theatre”. So I went to see “Room Service” at The Great Eastern Hotel in Liverpool street. You booked an hour in this beautiful hotel and Adrienne came in with a tea trolley of snacks and old photo albums and I sat on the bed with her wrapped up in the hotel slippers and dressing gown, eating biscuits, listening to music and sharing a hazy nostalgia for family in faded photographs of special occasions. It was this beautiful, generous, intimate exchange. I felt cushioned and amazed at how easy it was to get that intimacy with a stranger. Soon after that I asked him to present Salon Adrienne as part of Batterseas’ BURST festival. It was an important show for the building and one of the leading stories of the festival. He was based in Ocean hairdressers on Lavender hill. It was a one on one encounter where he washed your hair and made you tea and then you had a conversation about what you felt when you looked in the mirror. The work accessed a very vulnerable place but his care and generosity, his ability to wrap the conversation in the theatre of the everyday, in his own camp confessions, allowed his audience to feel safe enough to open up. I can remember audiences, staff, other artists during that festival coming back up the hill and being overwhelmed with what had happened. Giggling nervously at what they had revealed, both to Adrian but also to themselves. Adrian was a pioneer in one on one and intimate work, his practice and professional development workshops were a catalyst for many artists to consider working in this area. He has had a profound influence on the arts scene in the uk and beyond. At Battersea he went on to present many of his works in our major festivals, including A Xmas with Adrienne, 14 Stations, Won’t somebody dance with me, Foot washing for the sole, The pleasure of being, washing, holding and most recently he remounted Salon Adrienne and presented Unburden; Saying the unsaid. In 2010 Battersea opened a major festival of one on one work that may never have happened without adrians influence, he presented “The pleasure of being..” as part of this festival and the season was a huge critical success making waves and prompting articles about the impact of intimate work from The Guardian to The New York Times. .. In a society where we are increasingly isolated from each other or our interaction is mediated though technology or social media Adrians work was an oasis. His presence, humour, patience, empathy and incredible ability to really listen and sense what his audience needed meant he was constantly changing lives, and I don’t say that lightly - at Battersea working with him over the years we have heard many incredible stories of audiences members who through Adrian’s work were able to open themselves up to their darkest fears, to allow themselves a vulnerability, who through him were able to understand themselves better, or who were simply changed by the bottomless love he was offering. You cannot ask for more from another, he was working beyond art and theatre and touching our deepest needs as humans to be heard, touched, loved and understood. I worked with Adrian for nearly 10 years producing his work at Battersea alongside my partner another producer at BAC Richard Dufty. The last time I saw him was in a performance of Unburden last October at Battersea Arts Centre as part of our autumn season. I went to see the show in the middle of a hectic working day so wasn’t prepared for what happened. I walked into this magical space filled with hundreds of candles and the smell of pine and there was Adrian sat at the end just smiling at me. There was a walkway up and as I walked up to him before he could say anything at all I just started sobbing and laughing in a weak but happy anticipation of our conversation. Just seeing him and embracing felt like a release. We went on to have a conversation that I can honestly say I feel like changed my life. It was his most powerful, true and generous work for me and I was ready to receive it. He was such an incredible pioneering artist and beautiful human being. We will miss him so much. It is easy to think of Adrian’s personal generosity first and foremost but I’d also like to remember his place within the UK and international arts scene. He was prolific, ambitious, influential and toured extensively. My first experience of Adrian was An Audience with Adrienne, at the Drill Hall in London. We were welcomed in to a perfectly designed kitsch living room, he had an exceptional eye for a kind of detailed set design that immediately put the audience at ease in its timeless , comforting, reference points . He crafted an autobiographical approach where he revealed stories of himself in order to acknowledge a kind of shared vulnerability. He was a master of improvised dialogue, encouraging the audience to reveal their inner truths and lies. He allowed us to find strength in accepting our weaknesses and together understand that the recognition and revelation of emotion was a powerful and important part of life and not something to be frightened or ashamed of. Adrian is possibly the most highly critically praised artist that the Arches have ever worked with. An Audience with Adrienne represented the most exciting work in Scotland at the IETM in 2010 as well as going onto the Munich Opera House, Warwick Arts Centre and a British Council funded tour to Singapore and Israel. Some of his most acclaimed work happened after he shifted his focus, removing his drag persona to present work as Adrian, rather than Adrienne. This transition happened through his Creative Fellowship at the University of Glasgow where he had the opportunity for a period of research and critical reflection with the support of Dee Heddon as his academic mentor. Foot Washing for the Sole in 2008 was particularly successful. In the show Adrian asked me to consider where the soles of my feet had been that day, where I had walked, where i had come from, where i wanted to go. It offered a contemplation of religiosity and suggested a universal spiritual connectedness achieved through this ritual. As Joyce McMillan described: ‘It is as if our thoughtless abuse of our own feet , our main point of contact with the Earth, were a metaphor for our maladjusted relationship with the universe, put right here by the mystical power of touch, and love’ . Like all his work Foot Washing was carefully and meticulously crafted. Aesthetically, but also as a type of choreography where every second of experience for the audience member had been thought through. Foot Washing was one of those shows that programmers and festival directors are desperate to present as the experience for the audience member is so transformative that it ripples out across the city. Adrian really did care about what people thought of him, audiences and peers. He worked hard and what he achieved in the UK theatre scene meant so much to him. He wasn’t afraid to admit that he loved critical praise and that he took any negative critisicim to heart. Possibly this was because he felt so deeply all his personal interactions and for him these were no different. Adrian presented work comfortably within the experimental sphere but he also took it to a more mainstream audience when he worked with Tim Crouch in the Author, at the Royal Court in autumn 2009. This process challenged him, it took him out of his comfort zone but the result was a unique performance style that few could rival and gained him critical acclaim. Lifeguard in 2012 was another notable accomplishment where he worked with the National Theatre of Scotland, the Arches and Govanhill Baths Community Trust to bring his audience with him right into the re-opened swimming pool. Adrian was the Arches Artist in Residence and he loved all the small marks of belonging that came with this - having his key fob that allowed him access all areas, he was delighted to have his own business cards and whenever he travelled abroad for work he would be so proud to speak of and for the Arches. Lucy Gaizely who was then the Creative Learning Programmer mentored him through his residency and was a huge creative influence and support to him. Latterly he worked with Touchbase Sense Scotland and had a deeply reciprocal and transformative relationship with the organization. As well as working with influential Canadian company Mammalian Diving Reflex, Adrian , Ian Johnston and Gary Gardiner working intensively last year to create He’s the Greatest Dancer and will be shown at the Southbank Centre and BAC this year. He was within the very fabric of the Arches organisation - he came to speak at our staff away days, he ‘hosted’ as Adrienne - making fabulous satirical speeches at our press launches. He was an enormous personal support to me, offering incredible insights into the purpose and value in what everyone at the Arches works for. He looked us all in the eyes, listening carefully with that serious nod of the head in encouragement. ‘Come on, you can do it’. Even after he has gone he continues as a unifying force, bringing us together. The last month and a half has made me realise the strength of the artistic community in Glasgow, which he was at the heart of. There has been an intensity in the way we have come together which has brought life and love in to sharp focus and indeed this was what his artistry also achieved. During the last week of March 1980 and under the threat of the closure because of cuts in the arts, Battersea Arts centre was the host of five days of installations, films and performances by established and up and coming artists at the time. Among the artists who exhibited at this group exhibitions there were the names of Silvia Zinarek, Bill Furlong and Mona Hatoum, it was one of Mona’s first video performances. Mona Hatoum’s video performance on the first evening of the exhibition, displayed the concepts of gender bending and her desire to look behind the surface of social constructs. Hatoum pointed her video camera directly to the audience in a full house of punters, who experienced an optical trickery. She panned up and down the rows very slowly focusing on parts of their bodies, faces, arms, legs and crotches appeared on a monitor in front of them. Hatoum broke through the anonymity of the audience, introducing an almost voyeuristic pleasure of seeing oneself and other members of the audience as a performer. This illusion culminated when parts of naked bodies suddenly appeared on the screen. The audience’s initial reaction was that Hatoum had some sort of x-ray device in the camera and that made the audience feel threatened and violated. This fear turned into good humours when the same naked parts kept appearing on the screen over and over again. Hatoum had in fact three assistants behind the screen using another camera, mixing the bodies of the audience with their own naked bodies. That was the time when Hatoum experimented with the issue of surveillance and the concept of this performance was born right after the rejection of a similar proposal for an exhibition at the ICA and at SLADE. In the late 70’s and beginning of 80’s Battersea Arts Centre was a very radical art exhibition space. Artists like Bruce McLean and Mona Hatoum found a home to present their avant garde art at the time. In the early 1900s, members of the council working in the Town Hall began to consider ways of providing public entertainment to Battersea. “Progressives in Battersea pioneered the public provision of music, arguing that free concerts were 'delightful counter-attractions' to the public house. Through his efforts on the borough council, Mr W Lethbridge managed to establish a municipal choir and orchestra, erect an organ in the town hall, hire an official borough organist and institute free public concerts.” - British Socialists and the Politics of Popular Culture, 1884-1914. Below is the first page of the 8 page organ proposal from 1900. 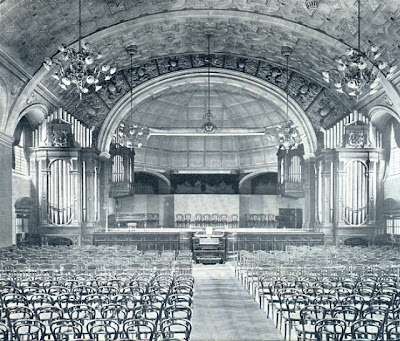 In 1901, the Grand Hall became the home of Robert Hope-Jones’ electric organ. With 4 manuals, 41 speaking stops and a complex structure stretching far into the depths of the building, it is the largest remaining Hope-Jones designed organ in UK. It was once the heart and soul of the building, enjoyed by a diverse audience for recitals and even musical accompaniment to silent movies. Sadly, the complexity of the instrument made it difficult and expensive to maintain, and eventually it fell into disrepair. The first modern repairs were undertaken in the 1980s, when David Pawlyn managed to fix the organ so it was fit for a few concerts to be held. Unfortunately after this initial work, it sat silently until 2006 when P Hammond assessed the extent of the damage. The blower rebuild began in 2008 and loving work continues to restore this magnificent example of Hope-Jones’ work. Robert was a telephone engineer but became famous for his work developing the tonal and technical development of the classic organ design. He left for the USA to continue his work with Rudulph Wurlitzer Co, where his ideas helped to create the Mighty Wurlitzer theatre organ, installed in cinemas across the States and the UK. For more from the archive about the Robert Hope-Jones organ, please click here. 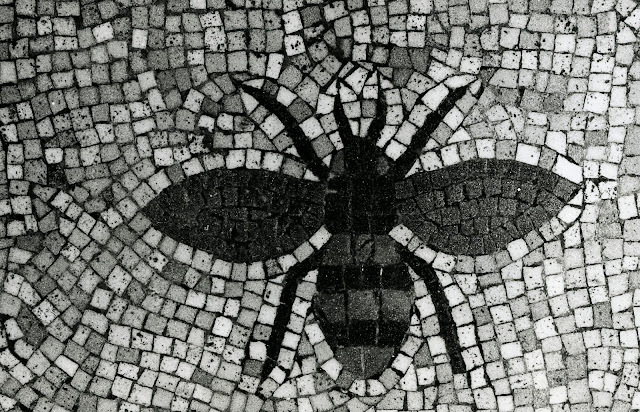 In the 1960s the mosaic bees that so beautifully adorn out entrance were hidden beneath concrete, after a row about how expensive they were to maintain. Fortunately they have been salvaged from the brink of destruction and are a much loved symbol of BAC. The bees have taken on many meanings over the years, and no one is quite sure why they were first chosen. One theory suggests it was due to the very land our building was built on – Lavender fields. The bees are perhaps a nod towards the double B of Battersea Borough. 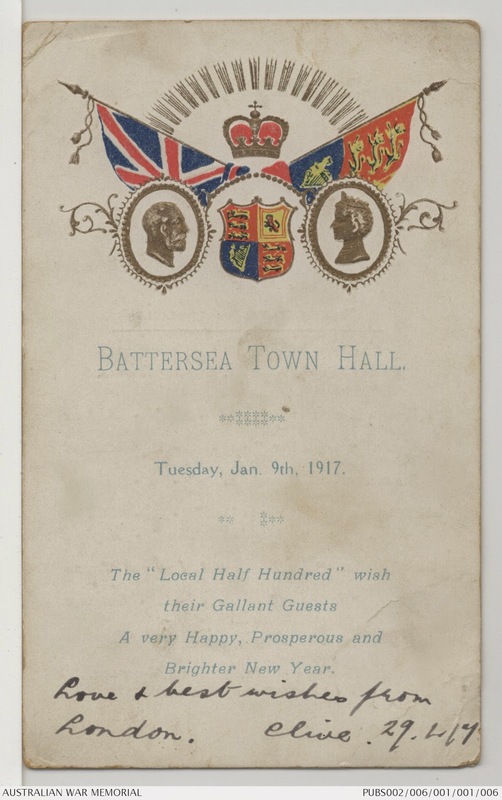 When the Town Hall was originally built, Battersea existed separately to Wandsworth and the word “Batterseaness” came to describe a certain way of life. “Batterseaness” was epitomised by the working class politics of the late 19th century, when the Town Hall was built. It is especially interesting that bees are also considered a symbol for workers, especially apt for a building with so many political links to communism and socialism, and especially to many prominent campaigns for workers’ rights. The building became the local headquarters during the General Strike of 1926, and on several occasions was the site of the Communist Party National Congress. There is also speculation if George Potter, who eventually settled in Battersea, was inspired by the symbol when he called his mid-19th century labour newspaper “The Bee Hive”. Whatever your take on the bees, radicalism continues to buzz about BAC. This week, Tref Davies, our Capital Administrator, continues with our staff picks from the archive and tells us why he adores this photo from the café. "This is one of my favourite pictures. 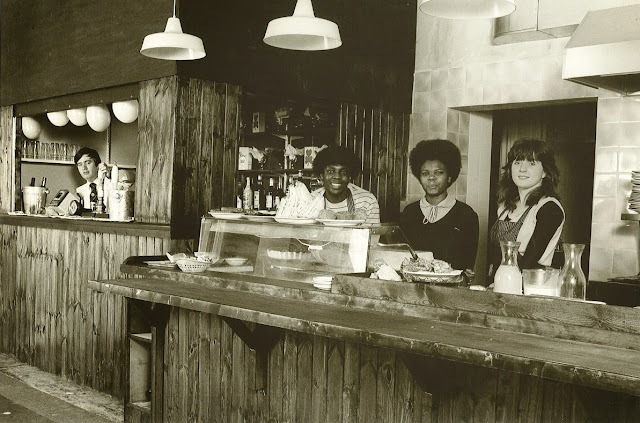 From the late 1970’s, it shows the café staff behind the server counter, and I love everything about it – the style, the people and the moment that’s captured. It’s probably because I worked in that same few square metres for a couple of years, but it’s also such a great example of a part of the building which has changed so much over the 120 years." These days our café is looking very different indeed, but you'll still find the same smiley service and delicious food. For more information about our newly refurbished Scratch Bar, click here.